This is the first Cymbidium to open for me this year and I've got several others that have very nice spikes... well, for me they look like they may be nice, since last year it was a disaster. I couldn't get these guys to do anything. So this summer I put them out on the driveway to bake.... and bake they did! That is really lovely. Do you have an ID for it? I have one cym with two spikes coming, but it's not nearly as nice as this. Sorry Janet, it's a NOID that I got at one of the Big Box Food Stores. I love it.... good growing. Absolutely gorgeous!! I wish I could find one like that. Thanks for sharing! 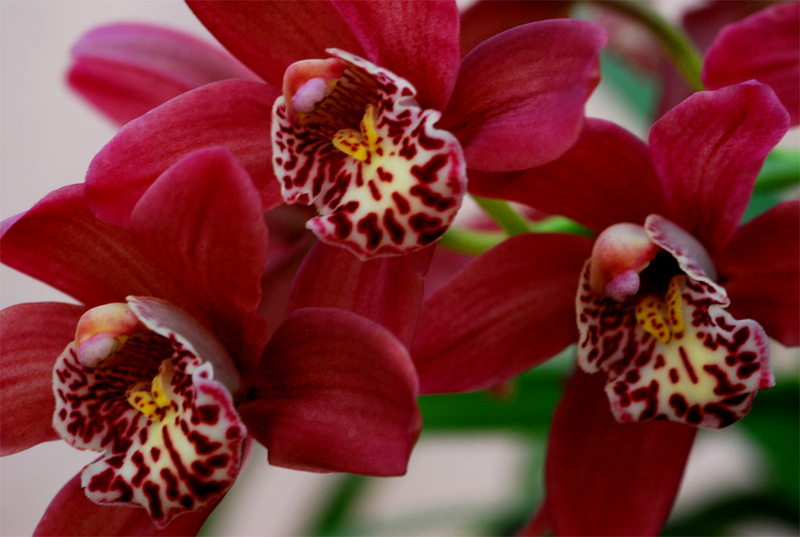 Beautiful cymbidium, Doc.Does that gorgeous colour colour come from the baking? Hehehe..Every time I see cymbidiums in bloom I turn green! The only cym I can grow here is Cym Golden Elf, a warm-tolerant one. If you bake yours should I try freezing, eh? Gorgeous Howard. Good job. I really love the color. 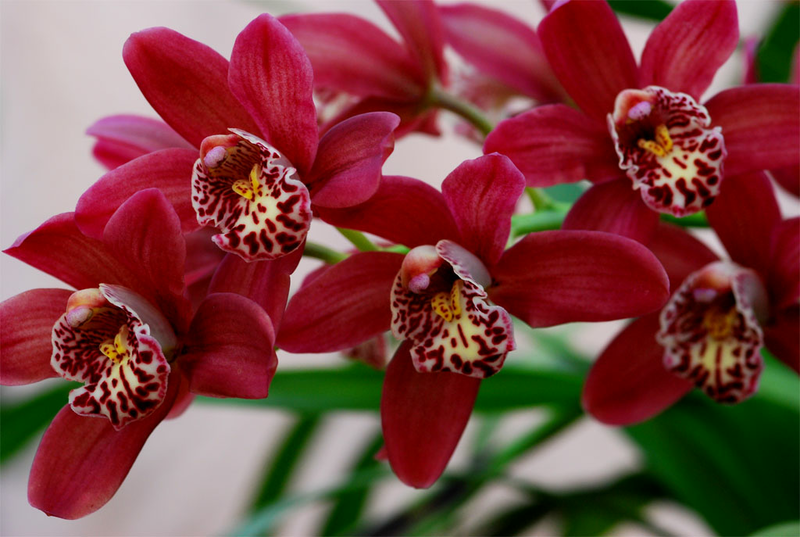 Cymbidium quibeiense or Cymbidium kanran ?? ?